Did you know that a French horn is approximately 425 feet long when it's stretched out? So there are a lot of places that need lubrication. Our Light Rotor Oil is perfect to put right on the rotors themselves. And we have a specially designed precision tip with a cover that means you won't have to put this bottle in a plastic bag! 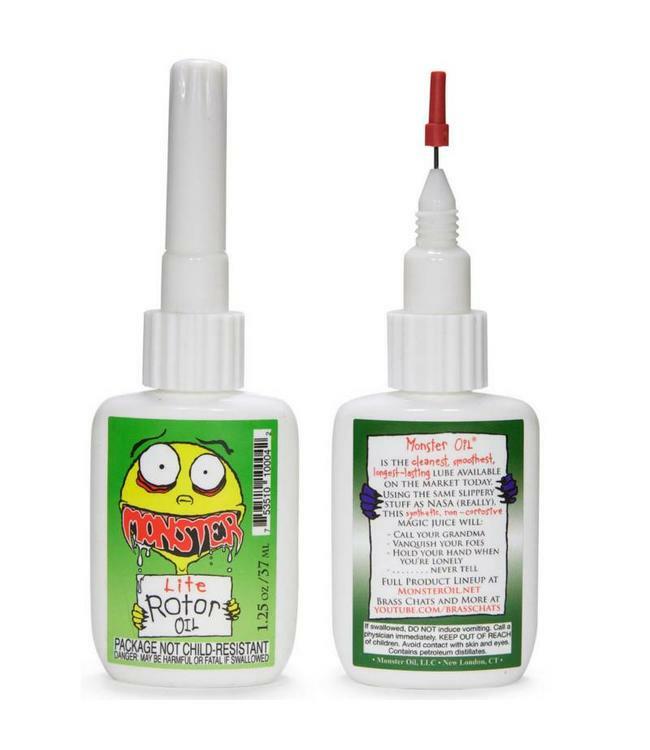 Like the rest of our lineup, this stuff is fully synthetic and designed to clean, protect, and lubricate your rotors at least until the universe contracts into the black hole that will end everything. Oh, and it works great on rotors for trumpets and tubas too!